Olympia High School will present the play Alice in Wonderland on Thursday, October 11, at 7:00 PM; Saturday, October 13, at 7:00 PM; and Sunday, October 14, at 2:00 PM. Tickets can be reserved by calling Wendy Wade at the middle school at (309) 379-5941, ext. 8330. 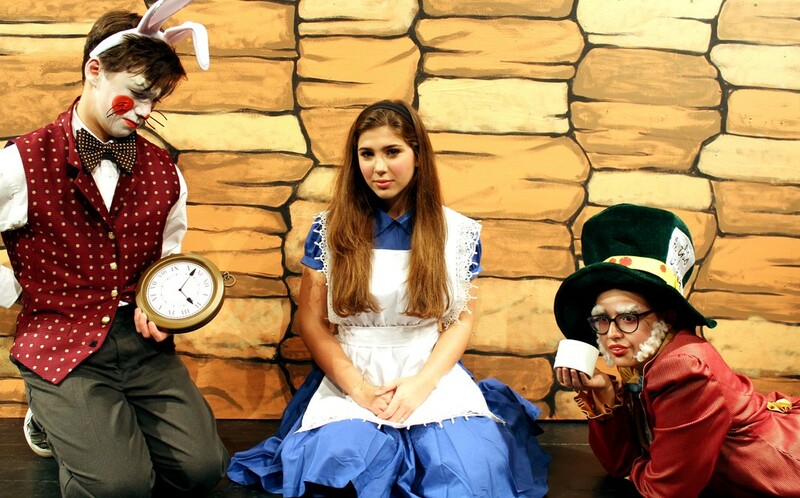 This family-friendly production follows Alice (Mariah Maris) as she pursues the White Rabbit (Ethan Schopp) down the rabbit hole and into the mixed-up world of Wonderland. The Cheshire Cat (Marissa Horning) promises to keep watch over Alice as she searches for the way back home--and growing up. Along the way she encounters a very laid-back Caterpillar (Walker Spaulding), the Mad Hatter (Bea Harbaugh) who is having a tea party with the March Hare (Austin Meredith) and Dormouse (Macy Walczer), Humpty Dumpty (Josh Reed) pre-catastrophe, as she searches for the Queen of Hearts (Annaliese Marsiglio) who just might be able to tell her how to get back home. The play is directed by Wendy Wade. Kelly Nehls serves as tech director, assisted by Heather Schwarting.